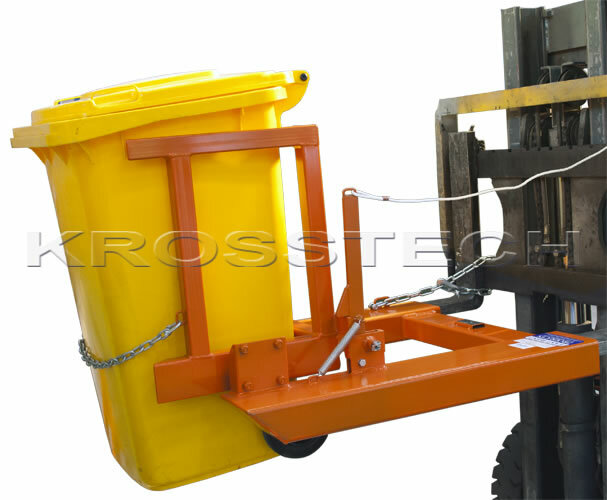 WHEELIE BIN TIPPER is designed to safely and efficiently lift and tip 240 litre wheelie bins. 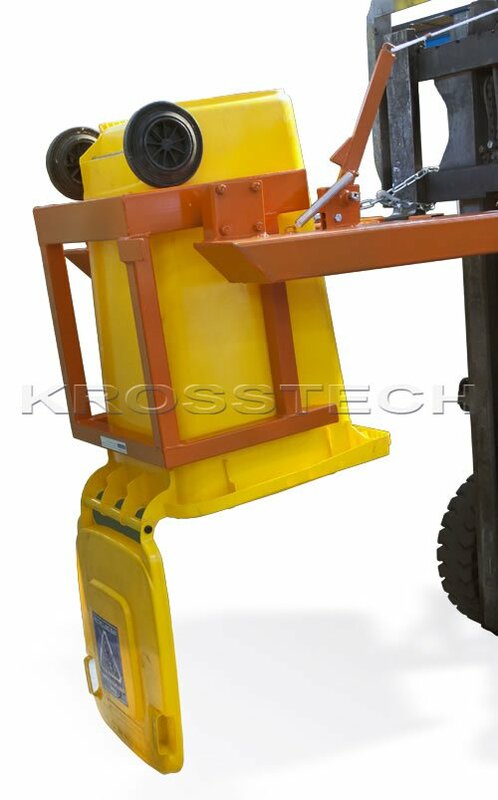 Fitted with a robust tipping mechanism, the tipping action is carried out by pull cord operation from the forklift drivers seat. Tipping can only be carried out once locking pin is released, preventing accidental tipping.